Al Maha Desert Resort & Spa is located in the Dubai Desert Conservation Reserve and plays a vital role in its conservation. 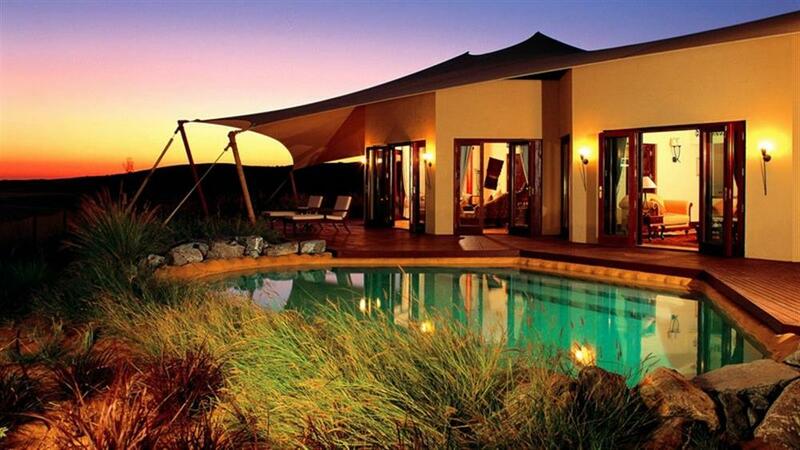 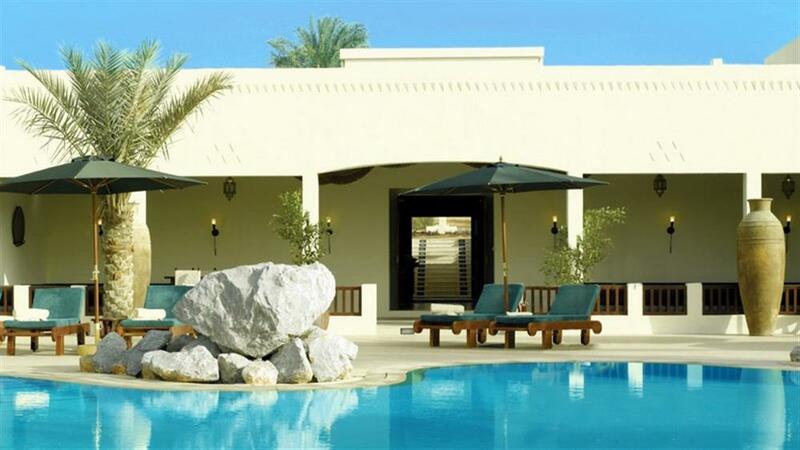 Al Maha is nestled in a verdant palm oasis, deep within Dubai's magical dune and desert landscape. 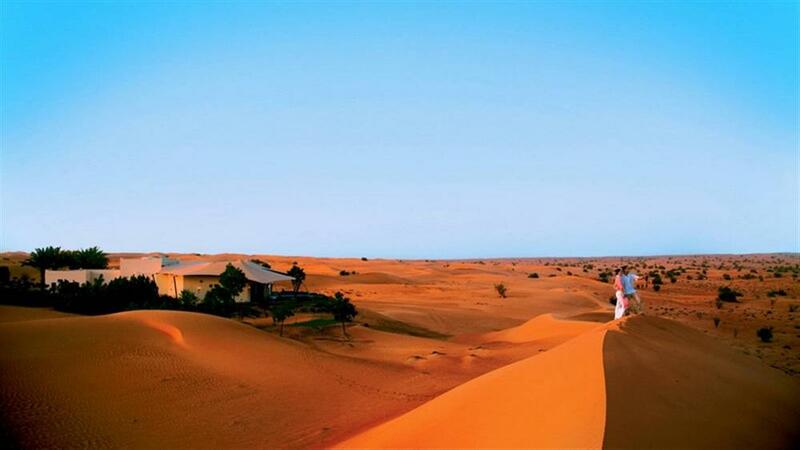 The resort offers a sense of desert adventure with matchless five star hospitality in unparalleled comfort. 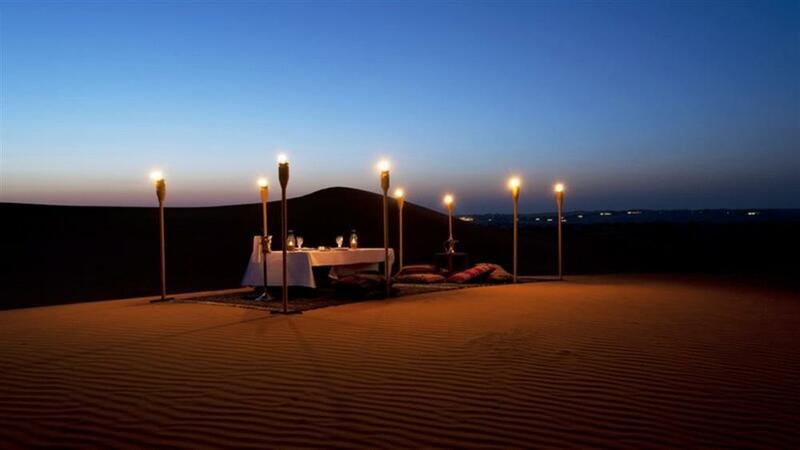 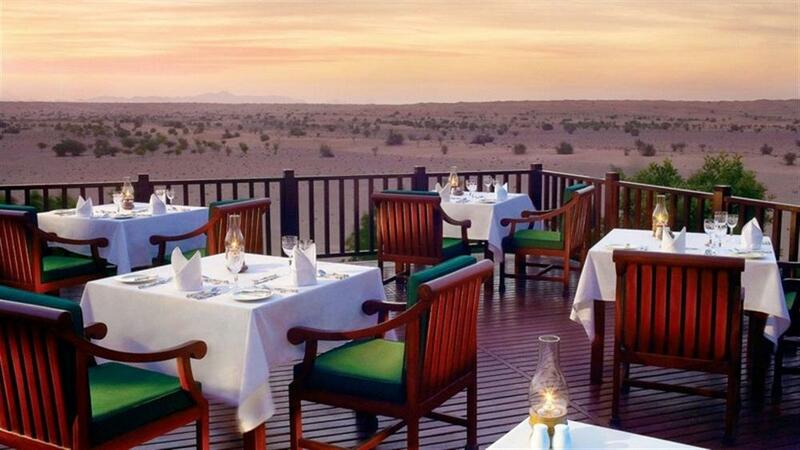 All Suites offer a spacious, luxurious setting overlooking the dunes of the Arabian Desert. 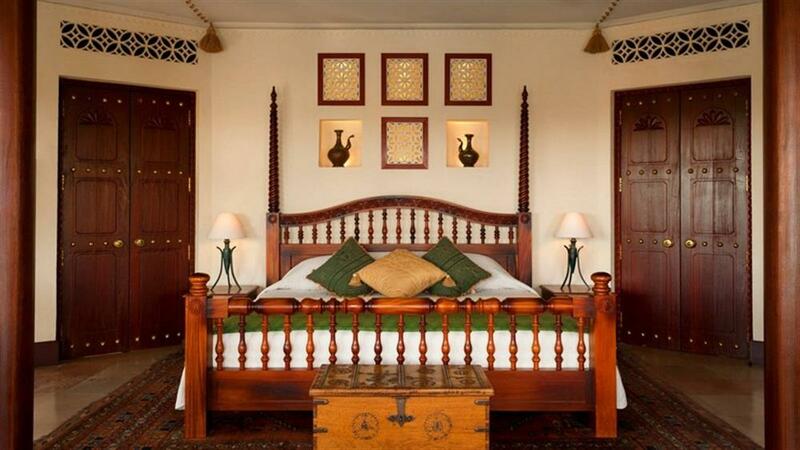 Suites are lavishly decorated with authentic and rare handcrafted Arabian furnishings, antiques and artefacts. 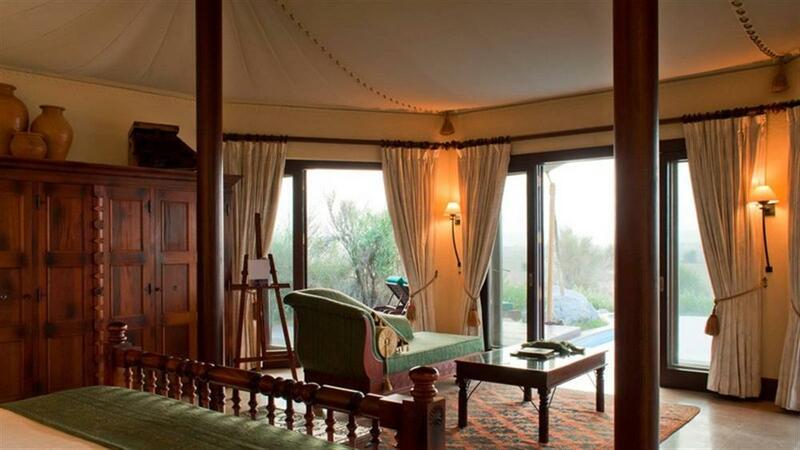 There are thoughtful touches such as binoculars, an easel with art materials and a writing desk, should guests' creative instincts be inspired by the landscape and the wildlife. 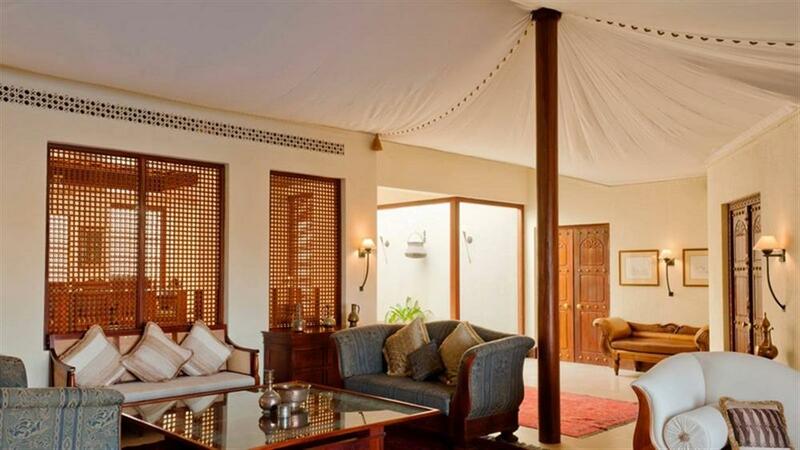 Each Suite has a private deck with sun loungers providing a secluded area for relaxing or as an intimate setting for a personalised dining experience. 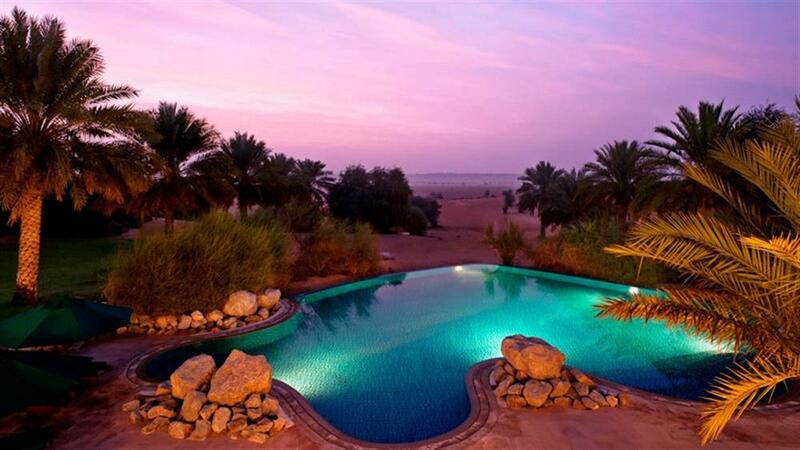 The private infinity pool spills out into a never ending view of the dramatic desert. 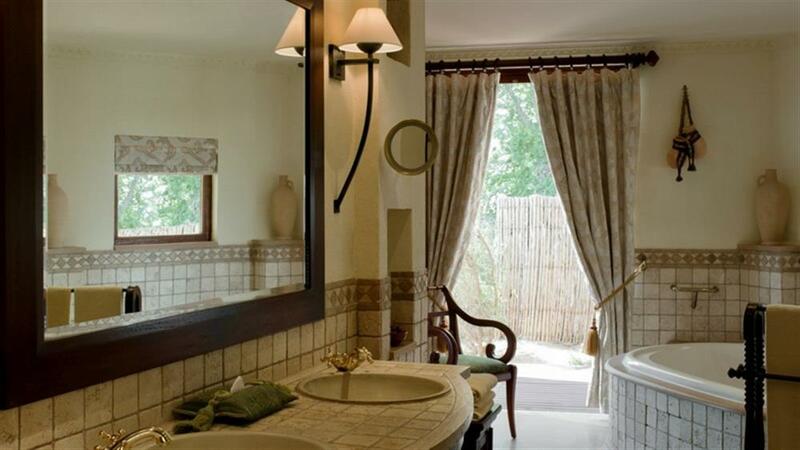 The Suites' key features are: Private temperature-controlled swimming pool (5 x 4 metres) surrounded by a wooden deck, custom-made super king-size bed, spacious bathroom featuring a walk-in shower, king-size bath, and a 'his and hers' vanity area. 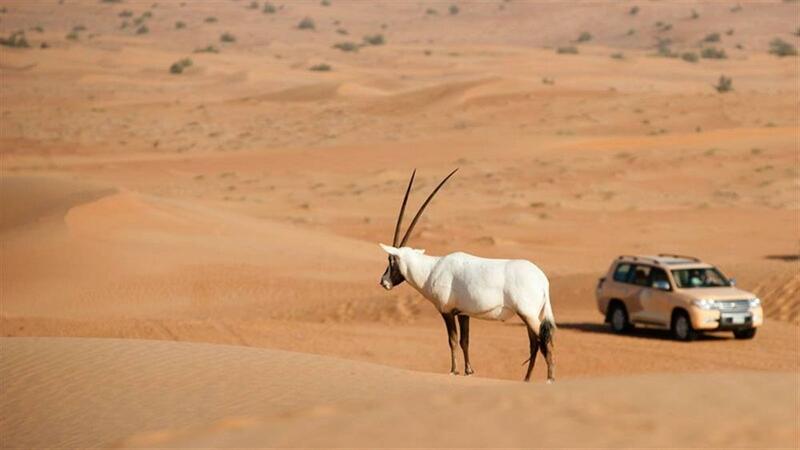 A gentle drive through the beautiful Al Maha Desert gives guests the unique opportunity to get close up sightings and photographs of the free-roaming wildlife in the reserve. 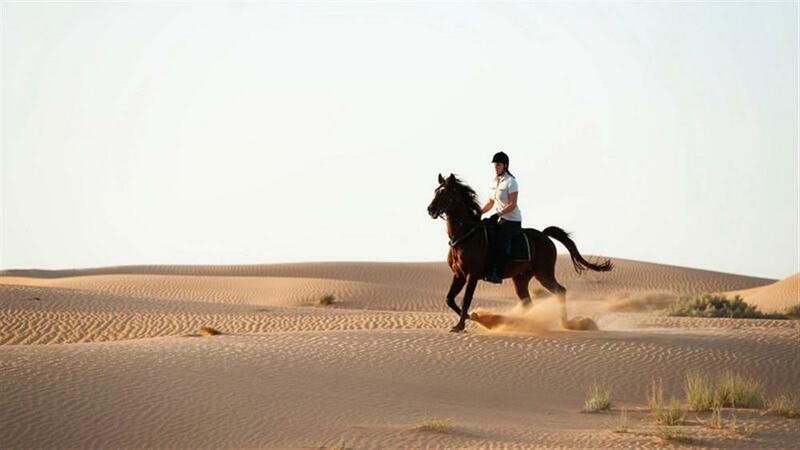 Guests can also enjoy horse riding, archery, falconry and camel trekking. 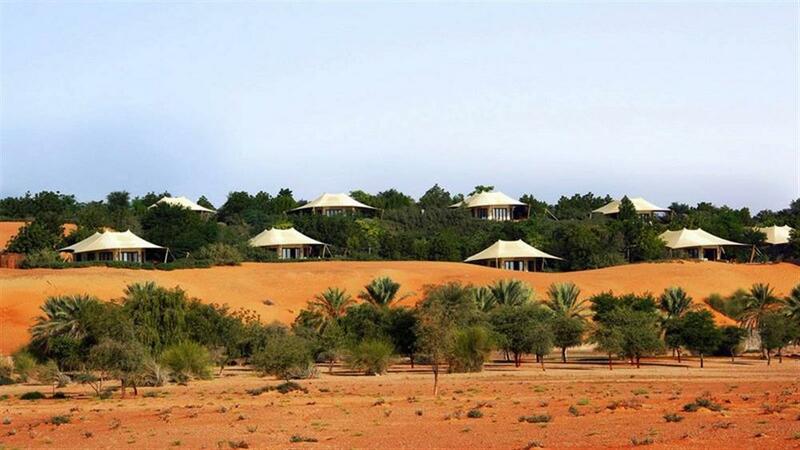 With numerous species of flora and fauna indigenous to the Al Maha desert reserve, amateur biologists and botanists can enjoy the guided nature walks led by experienced Field Guides.